WASHINGTON — US Trade Representative Robert Lighthizer and Treasury Secretary Steven Mnuchin will return to Beijing next week as the United States and China inch toward resolving their trade war, a senior administration official said on Tuesday. 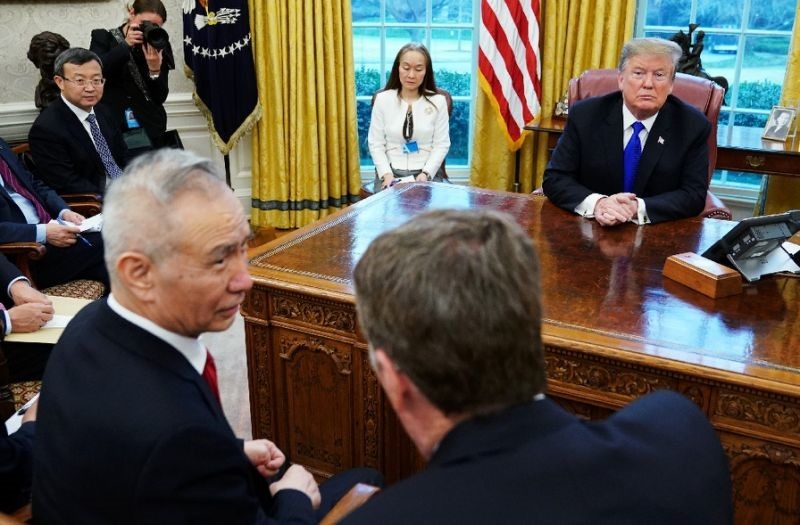 Following the renewed talks in Beijing, Chinese trade envoy Liu He will return to Washington the following week, with talks in their final stages, The Wall Street Journal reported Tuesday. US President Donald Trump on Tuesday told reporters the talks were going "very well," reiterating the positive message of recent months. But he also said last week he was in "no rush" to strike a bargain, insisting any deal had to do more than make cosmetic changes. On Friday, China’s parliament approved a foreign investment law to strengthen protections for intellectual property - a central US grievance - but foreign businesses said they were not given enough time to add input. The report helped lift Wall Street on Tuesday after stock prices had begun to sag, following a Bloomberg report that some US officials believed China was reneging on earlier trade concessions. US officials are demanding far-reaching changes to Chinese industrial policy - including an end to massive state intervention in markets, subsidies and the alleged theft of American technology - and insist that any agreement must be enforceable. China has been willing to increase purchases of American exports but analysts say they will be reluctant to accede to American demands in ways that could weaken the communist party’s hold on power. The two sides have exchanged tariffs on more than US$360 billion in two-way trade. Lighthizer has declined to state publicly whether Washington would lift the tariffs it has imposed so far if both sides reach a deal.